Preaching on Mothers’ Day – Don’t Compromise! Preachers have several choices when it comes to proclaiming the Gospel on Mothers’ Day. We can of course ignore the fact that it is Mothers’ Day. After all Mothers’ Day does not appear on the Church calendar of feasts and commemorations. However, Mothers’ Day is reported to be the third highest attendance day; out numbered only by Easter and Christmas! I suspect that a great many offspring choose the day to placate their mothers. So ignoring the event seems like adding insult to injury to those guilt-ridden offspring who hope that their efforts won’t go unnoticed. Sadly, the presence of the Christmas and Easter crowd, all too often tempts the preacher to resort to sentimentality in order to entertain the infrequent worshippers. The history of the creation of Mothers’ Day ought to compel preachers to resist temptation and find the courage not to compromise. Most of us think of Mothers’ Day as a kind of conventional holiday that celebrates traditional family values; the kind of traditional values that encourage women who are mothers to keep on keeping on. But celebrating the traditional motherhood is definitely not what Mothers’ Day was originally intended for. The very first Mothers’ Day was intended to be a celebration not just of mothers, but rather it was designed to be a call to action by all women. One of the first founders of Mother’s Day was Anna Jarvis back in 1858. Anna Jarvis gathered women of the Appalachian mountains together in what she called mother’s day work clubs. Where women worked together to eliminate poverty. When the Civil War came about, the mother’s day work clubs created medical camps. They were places of nonviolence for men from both sides who were wounded in the war. At the end of the Civil War, Anna Jarvis organized the Mother’s Day Friendship Day, which was a call for radical peace. Anna Jarvis brought together the leaders from the north and the south for a time of reconciliation. Mother’s Day was originally about reconciliation and peace. Anna Jarvis’ daughter also named Anna Jarvis approached President Wilson and petitioned for a national Mother’s Day. It was Woodrow Wilson who called for the second Sunday of May to be the national Mother’s Day. 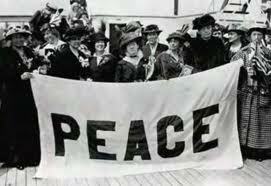 Shortly thereafter, n anti-suffragette movement spoke out against the women who were calling for peace. So instead of being a day for women who were active and present in the world, it became a day to celebrate mothers who stayed at home with the children. Anna Jarvis the founder of Mother’s Day was so angry with Woodrow Wilson that she filed a law suit, that petitioned the courts to put a stop to Mother’s Day because as the court papers insisted, instead of it being run by women, suddenly Mother’s Day was being run by men in an effort to keep them in the house barefoot and pregnant. Sadly, the world was not ready for such strong willed women to shout out loud. And so, Anna Jarvis was arrested at a Mother’s Day celebration and she spent the rest of her life in a sanatorium? “Arise, then, women of this day! Arise, all women who have hearts, whether your baptism be that of water or tears! From the bosom of the devastated earth, a voice goes up with our own. It says, “Disarm, Disarm!” The sword of murder is not the balance of justice. Blood not wipe out dishonor, nor violence indicate possession. As men have often forsaken the plow and the anvil at the summons of war, let women now leave all that may be left of home for a great and earnest day of counsel. Let them meet first, as women, to bewail & commemorate the dead. Let them solemnly take counsel with each other as to the means whereby the great human family can live in peace, each bearing after his own time the sacred impress, not of Caesars but of God. 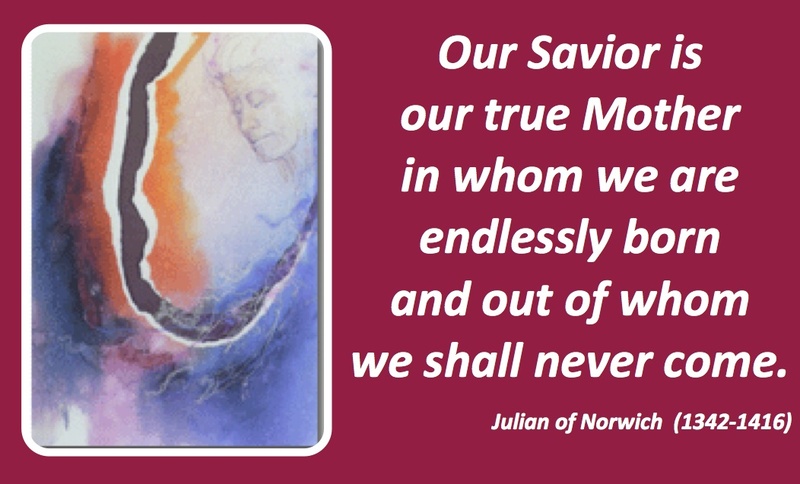 This entry was posted in PONDERING PASTOR, SERMONS, STORIES, Theology and tagged Lutheran sermon Mothers' Day, Mother's Day Anna Jarvis, Mothers Day feminist, mothers day peace proclamation, peace, preaching on Mothers' Day, progressive christian mothers day sermon by Rev. Dawn Hutchings. Bookmark the permalink. I was deeply moved as I read this posting and listened to the video. I’ve known about the history of Mother’s Day for several years and yet I still learned more as I read and listened. Thank you for being you, a wise, brave, honest, loving, ethical pastor willing to put your truth out for all to know. I will be proudly forwarding this to many friends and relatives. See you on Mother’s Day! Oliver Wendell Holmes Jr, U S Supreme Court Justice, wrote “In the law a page of history is worth a volume of logic.” I have found it to be true in most everything else as well, including religion, theology, philosophy, poetry, drama & music. Thanks for the fine piece! Shalom!